One of the biggest changes in basic roaming service kicked off last year in Europe. The European Union (EU) eliminated intra-regional roaming charges and, for the first time, citizens of the 28 member nations have been able to use mobile service at standard rates when traveling across the 28-country bloc. The changes herald a major changing of the playing field for roaming. Syniverse has been right in the middle of helping mobile service providers navigate these changes, and I recently had the opportunity to share some of my perspectives from our work in this area in an article for VanillaPlus. Please take a read and let me how you think these changes will transform roaming. This article originally appeared in VanillaPlus and is republished here with permission. Until now, operators in the region could still compete based on roaming fees, even though these have been in decline over the last few years. The new EU regulations have done more than remove one means to differentiate – they’ve spurred roaming traffic growth. Syniverse data shows that July, August and September 2017 compared to the same period in 2016 has seen a 308% increase in mobile data volumes – that’s without studying the increase in voice and SMS. So not only can operators no longer charge for roaming, they’re also incurring more operational cost because of the traffic increases. A few years ago, Juniper predicted that roaming revenue would increase to US$90 billion globally from 2012 to 2018 but only if operators adjusted retail roaming pricing. This regulation has unequivocally proven that people will use their mobile devices more when roaming rates are lowered to an acceptable level – in this case, the same tariffs as if they were at home. Increased usage now means that silent roamers could be a thing of the past within the EU. In fact, this roam like home behaviour is now revealing changes to subscribers’ service expectations. They now expect to be able to use their device and have access to the same high-quality experiences when they travel as they do at home – and they won’t pay any more to do so. 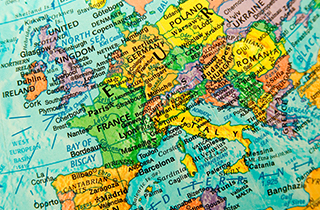 With EU mobile subscribers now having acceptable pricing for roaming, more providers to choose from, and more expectations about their service, operators face several challenges in making the value of their connection clear to customers while roaming. Chief among these challenges is the capability to understand a customer’s connectivity needs in real-time and to serve those needs in timely, contextual ways. This involves using real-time data first to know in real-time that their roamers are being served consistently regardless of their global location: second, to provide consistent value exchange for roaming services instead of pursuing silent roaming: and, finally, to provide real-time usage alerts and personalised offers. Act in real-time – With roaming experiences, time is of the essence. When subscribers suffer from service failure or poor quality while roaming, the decision to switch back to old silent roaming habits can be made in an instant. Operators need to use real-time data to understand every aspect of the service delivery, from the moment a user registers on a visited network to any moment when service problems arise. Focus on their context – It’s also critical for operators to understand in real-time when, where and how users need connectivity. For example, if a subscriber travels abroad and plans to become a silent roamer instead of investigating roaming options, that subscriber’s operator must be prepared to detect the subscriber’s arrival and proactively send a message to them with a personalised offer for a relevant roaming package at a competitive price, all before the subscriber even considers purchasing a SIM card or turns off data roaming. Empower subscribers – This real-time action puts the power of roaming usage control directly in subscribers’ hands, allowing subscribers to access usage information anytime and anywhere, set spending or apply usage thresholds for data services, and receive alerts as they approach these thresholds. By empowering their subscribers, operators can not only drive incremental revenue increases from additional mobile usage but also mitigate bill shock. Consumers want the same experience when they roam. Specifically, they want the same network quality and speed – LTE – so operators need to ensure that’s what they receive when they roam. In the next few years, the number of people with access to 4G will rise to over three billion. But a study of global roaming traffic by Syniverse this year found that, despite industry ambitions, inter-regional non-LTE roaming traffic – essentially 3G traffic – still currently outstrips LTE roaming traffic. The challenge for operators then is to emulate the success of LTE intra-regional roaming on a global scale. In doing this, they must meet customers’ expectations for using their devices overseas in the same way as they do at home. But based on the study’s findings, the tipping point with global LTE roaming hasn’t occurred yet, and providing LTE roaming service remains a competitive differentiator for operators. On the wholesale side of the business, operators who are able to provide inter-regional inbound LTE roaming also stand to differentiate themselves as “visited operators of choice” for their roaming partners. In short, price and real-time control are one thing, and LTE is another. Together, they are the ingredients operators have been looking for to differentiate and drive the incremental roaming revenue growth they so critically need.